We don’t necessarily think of 80 or 90 years olds easily using technology. But there’s no reason they can’t with just a few adaptations. They just need to learn how to speak the language. Computer technology for anyone over the age of 45 does not come naturally. It’s not intuitive since we weren’t exposed to it until our mid-late teens or adulthood. Learning something as an adult is different than learning it as a child. This doesn’t mean adults cannot learn new things. It does mean it will take some adults extra time to fully understand or embrace new things. An older adult brain in particular takes longer to learn and process new information. It’s a natural phenomenon of aging. Just like physical reaction times can slow as we age, so can mental processing times. The beauty of neuroplasticity tells us we can continue to learn and adapt our brains until our last breath. Learning as we age however, will involve a few extra moments to process. This is difficult for some younger people to understand. They grew up with technology like computers, smart phones and tablets. “Technology is easy and if you don’t understand, you just play with it until you do” younger people say. But older people need directions; often step by step directions. It’s not instinctive for them to know the x in the red box means to close something. Or that the keyboard pops up when you press the little message line to start typing. Simple, little things we consider obvious are not obvious to an older person. Technology can be a great way to stimulate, communicate, engage in the world, enhance quality of life and even help memory. But it’s literally learning a new language for seniors. So the first step is to ask a few questions. Are they motivated? Do they want to learn the technology based on being shown what it can do for them or is the motivation coming from someone else like family or friends? There has to be some level of interest or motivation from the senior themselves. Otherwise, it will be an exercise in frustration and futility and can even make them feel even less confident in their abilities. Lastly, where will they use it? Will it be used only their home (computer) or on the go (tablet or phone)? Who can help them learn how to use it? The ideal teacher will have plenty of time and patience to assist them learn the new language of technology and all it has to offer. 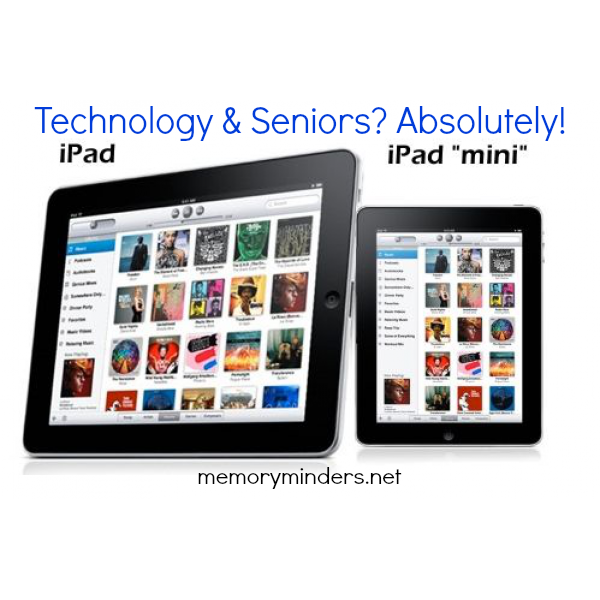 Technology and seniors can go together. It’s all about knowing where to start and who can help them learn the language.